Angling Trust National Regions Manager finds that Crucians are taking over his fishing ! A someone more than a little obsessed with catching predators on lures, until recently, crucians were not really at the forefront of my fishing aspirations. I think I may actually have caught a couple of of crucians about 8 years ago when waggler fishing a lovely lake in the South West while on holiday, but I never took any pictures and they may well have been hybrids, so I can’t really count them. I don’t remember them being particularly beautiful so they can’t have been true crucians, more likely brown goldfish, beautiful in their own way, but a bit like finding iron pyrite when you are searching for gold. 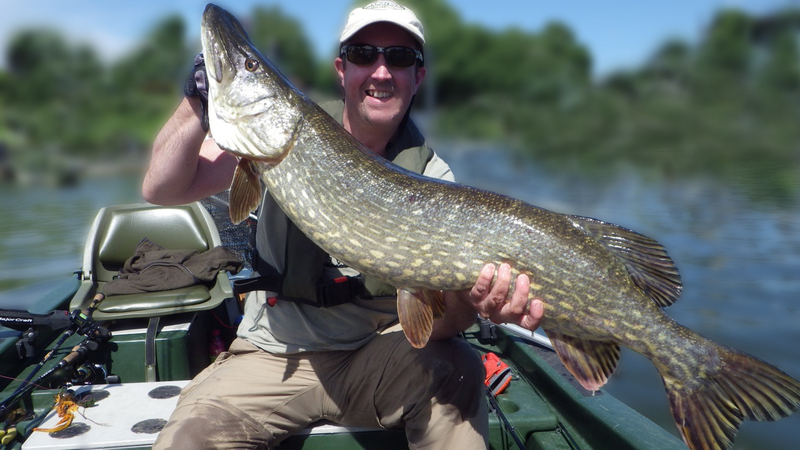 As an obsessed lure angler my fishing trips are usually all about pike, perch and zander. It all changed last year when as part of my job working for the Angling Trust, I was asked to help put together a website for Catch A Crucian month and the photography competition that goes with it. Suddenly I felt a little bit of a fraud. Here I was helping to tell everyone how wonderful these beautiful little fish are and encouraging more anglers to get out there and catch a few and yet I was far from sure that I’d ever actually caught one myself and certainly not intentionally. What’s more, the photos that flooded in for the 2016 competition showed off some absolutely stunning fish and I began to feel like I was really missing out on something. So I gave myself a little talking to and decided that I’d better put some plans in place and catch myself a Carassius carassius in 2017. The gold rush was on ! The first job was to research a few venues that weren’t too far away that would give me a good chance to get my first intentional crucian and then to identify somewhere that I might catch a really decent one, maybe even something over 2lbs. For this job the list of crucian waters that has been compiled by the guys running the National Crucian Conservation Project was a huge help. Having scanned the list for suitable waters, I decided that Priory Pool at Lemington Lakes in the Cotswolds would be my first target water. As a day ticket water it was easy to access and by all accounts there seemed to be a really good stock of true crucians in the water along with a big head of small tench and the odd bonus roach. So with my Drennan Acolyte 14ft float rod in hand I headed off to the Cotswolds on a fresh May morning hoping to strike a rich seam of gold. Lemington Lakes are not your average day ticket “commercial” water. For one thing you actually have to register and become a member to fish the waters, although membership is free. Then Andy and Debbie Machin who run the fishery ask that you book at least a day in advance if you want to come and fish. Access to the fishery is via an impressive looking electric gate that members are given the push button combination for and once inside the place is immaculate. Andy and Debbie don’t put up with any littering, poor fish care or anti social behaviour so you can be sure that once inside the fishery you will be in a little haven of fishing and nature. Bio security is also taken very seriously and once you have popped into the well stocked café/tackle shop to pay for your day ticket, you are then required to use the fisheries own mats, weigh slings and net heads, they are not some cheap rubbish either as they are all top quality Korum kit. So I headed over to Priory Pool which is reed fringed and surrounded by over-hanging trees and at around 1 acre in size, was small and intimate enough to make me feel confident about finding some crucians at the first attempt. I started out by feeding a few balls of groundbait laced with a few maggots and fished a couple of rod lengths out in 3 foot of water using double red maggot as my hookbait. It didn’t take long before the float began to stir. The silver gleam of roach was the first precious metal that graced my landing net, and it was a good one too, just a little over a pound. Then the float slid away again and this time it was that lovely greeny shade of oxidized bronze that can only mean tench. More tench followed and the sun began to rise and bites slowed down and there was still no crucian gold to be seen. I rebaited with single red maggot on a size 20 and fined down my hooklength to 0.08 Reflo and tried casting a little off to the side of the groundbait where the small tench had been dominating matters. At first nothing happened, but then the breeze dropped to nothing, the lake surface became a millpond and a few tiny bubbles appeared beside my float. I waited. First there was a tremor, then a tiny dip and finally when the float edged a little to the left I couldn’t resist striking and somehow I knew that the darting, fluttering resistance on the end of my line was the fish I was after. As my first ever intentionally caught crucian slid over the landing net frame the sun intensified and the light reflected off it’s burnished flank making it look as though it was wearing a delicate suit of armour fashioned by the worlds finest goldsmith. At less than1lb it was hardly a spectacular capture, but it was a special moment and since I had my camera/phone set up on a bankstick, my crucian and I decided that a selfie was in order. I’m pretty sure he will have shared it on fishy facebook ! I caught a few more lovely crucians that first day and it really whetted my appetite to try to catch a real specimen. So I got on the phone to Martin Salter who is one of my colleagues at Angling Trust and who has been a major player in the National Crucian Conservation Project and National Crucian Month campaigns. “I want to catch a big crucian” I told him. “well you better get yourself down to Marsh Farm then” was his short reply. As luck would have it, I was scheduled to be running an Angling Trust Fisheries Forum in Reading in Mid May and was staying over in a hotel with a couple of my colleagues afterwards, less than an hour away from Godalming Angling Societies famous Marsh Farm Complex. I soon persuaded them to take a day off after the forum and that we should all head down to see if we could get hold of one of their specimen sized crucians. A few days before we were due to head down there, I spoke to Martin again and he gave me some advice that was to make a huge difference to the day. “If you want to catch a big one, then fish the method feeder across to the island and just put a single artificial floating caster hair rigged to a bait band on a size 18 hook as bait. Don’t fish too light either as there are some big old tench in there.” Sometimes it’s good to ignore advice and go your own way, but very often, and especially when you are fishing a water for the first time, it makes a lot of sense to go with local knowledge. So the quiver tip rod was duly packed, fake casters were bought and we headed off to Marsh Farm with great excitement. The facilities as Marsh Farm really are a tribute to Godalming Angling Society. They had a vision for what a day ticket water should be like and having bought the land next to their famous Johnsons lake back in 1997, raised the funding required to build a truly stunning fishery. Fully equipped with a teaching centre and a fantastic tackle shop Marsh Farm really is the template for other clubs to follow. Even the toilets are lovely ! So having spent far too much in the tackle shop (as ever) and having chosen our swims on Harris lake the three of us set up with very different tactics in mind to see if we could capture a big bar of gold. Ian fished the pole, Andy fished the waggler and I fished Martin’s Method feeder set up. The water was very clear and the the guys in the tackle shop had warned us that it was fishing quite tough and so it was no surprise that we were fishless for the first hour. I began to wonder what a take on the method feeder would be like if a big crucian took the bait. Tench and carp generally just tear away and the rod tip just bends round as the fish hooks itself on the weight of the feeder, but I kept wondering if the shy crucians would react in the same way and that maybe I would need to strike the slightest of knocks. At this a fish decided to answer my question, the point my rod tip flew round violently and before I knew it, the rod was in my hand and something big and solid was thumping away on the other end of the line. I called to Andy who was in the next swim and by the time the fish came into view he was by my side. “Blimey that’s huge” was his response at seeing the fish flank in front of us. I knew a fish this big could only be a tench or a crucian and as the flank we had just seen shone like a jewellers shop window I knew it wasn’t a tench. Slowly, slowly the fish came in and as it slid over the net I couldn’t quite believe it. First bite, first fish and it was a very big crucian. Weighed on a brand new pair of Reuben Heaton Flyweights it went 3lb 1oz. A fish of a lifetime. A few photos later and it was gone. I kept wanting to look at the photos to convince myself I’d really caught it, but Ian had taken them on his SLR so there was nothing on my phone to stare at. 3lb 1 oz the fish of a lifetime. The day progressed, Ian had a couple of lovely crucians out up to 2lb 5oz. Andy and myself caught some cracking tench up to 5lb + but it all seemed a bit surreal after that first crucian. It wasn’t until the next day when Ian sent me though a copy of the photos by email that I really convinced myself I had caught a 3lb fish in the first hour of my first trip to Marsh Farm. What an amazing fishery ! The one thing I hope this has convinced you is that it doesn’t matter if you are a dyed in the wool lure angler (like me) a fly angler, a big carp specialist, a river roach fanatic or if barbel are your passion…take a little time out and track down some beautiful golden crucians, not only might you catch yourself a new PB, but you will also add a little bit of golden bling to your fishing soul.